This handpiece easily converts your 401 Power Clipper into a professional nail grinding tool. Grinding nails is easy, efficient and the best way to prevent painful “quiking” which can occur with nail cutters. This slim handpiece attaches quickly to any Double K cable driven clipper by using the quick detach feature to remove the clipper handpiece from the cable and simply snapping the 503-general purpose handpiece to the cable. The #560 grinding stone (not included) attaches easily to the handpiece by opening the collet using the enclosed chuck wrenches. 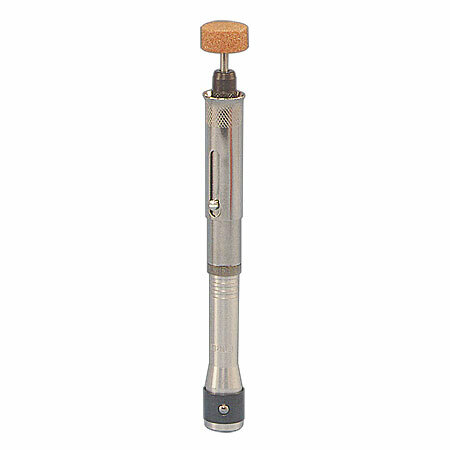 Retractable sleeve guard pulls back to allow for easy installation of the grinding stone and then can be pushed forward to cover moving parts to protect hair and fingers. Comes with 1/8” and 3/32” collets. Other collet sizes are available. 6-1/8” length, 5/8” diameter, weight - 3.55 oz.